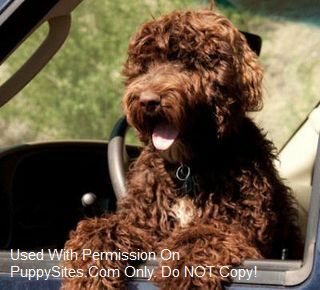 We are a small family breeder (1-2 litters per year) of high quality Labradoodle, Bernedoodle & Standard Poodle puppies. Our puppies are raised in our home as family members. Each puppy receives lots of love, attention, and care. Our puppies are born from AKC Registered parents that are carefully selected for health, temperament, and intelligence. Our puppies are sold with 2 sets of shots, worming, dewclaws removed, a microchip implant, and a written health guarantee. Please visit our website for information on available puppies, and upcoming litters. BIG, BLONDE and BLOCKY Goldens! Our Goldens are family raised. We specialize in blonds and English Cremes. Our dogs are certified in hips, eyes, elbows, heart, thyroid and patellar Luxation. They have nice black pigment and a true golden personality. 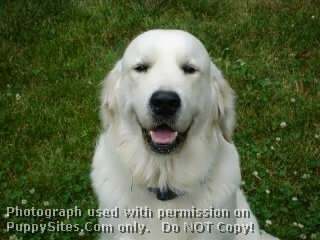 Gentle, loving and loyal as all Goldens should be. Testing for ICH. We do ship!